I'm no longer in New York, but I'm still very much in festival mode. Using Tribeca's VOD service on iTunes I'll be reviewing two more films from the festival selection. First up is "The Bachelor Weekend". Brotherhood and friendship are front and center in John Butler's debut feature "The Bachelor Weekend". As its title suggests, it follows a group of men on a final hurrah before a wedding. Starring a cast of relatively unknown actors, this Irish comedy shows a lot of potential, but does it live up to it? 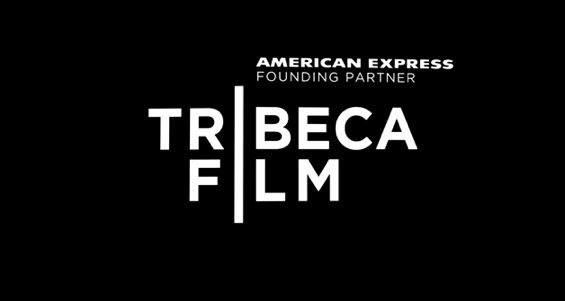 The premise of the film is a familiar one, so much so that an entire franchise ("The Hangover") is dedicated to the concept. In this iteration, the groom (Hugh O'Conor) is a reluctant participant, being coaxed into it by his concerned fiance. 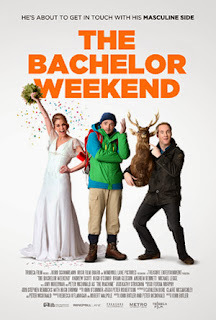 Due to his obsessive involvement in the planning of the wedding, she encourages the best man to arrange a bachelor weekend (or "stag" as its called in the film) for the groom to relax. After initial hesitation, the groom complies and joins a bunch of friends on a camping trip. He gradually warms to the idea until his fiance's brother (Peter McDonald) forces himself into the group. Nicknamed The Machine, he's a brash brute of a man who is bound to cause trouble. As expected, chaos ensues as The Machine goes to great lengths to disturb the peaceful excursion. He's the wildcard of the group, leading the plot down its various misadventures. When executed well, this should be the catalyst for hilarious situations. Unfortunately, the jokes here feel forced and stale. The Machine comes across like an obnoxious nuisance, making you wonder why the gang would tolerate him at all. The bigger problem however, is that the screenplay fails to properly establish the bond between the men. The feeling of camaraderie isn't fully realized and so the comedy feels inorganic and stupid. What could have been an uproarious comedy ends up feeling very phony. The failures of this script are most frustrating when the third act reveals so much hidden potential. After a series of calamities, the men start to open up to each other, finally revealing the traits of longtime friends. After failing the cast with endless scenes of contrived stupidity, the final act brings the genuine kindred spirit that was lacking. The actors get room to express themselves at last, particularly an ace Andrew Scott. Even the previously one-note Peter McDonald is able to give his character some last-minute complexity and pathos. Good filmmaking requires a lot more consistency though, so it proves a bit too late for the film to fully redeem itself.